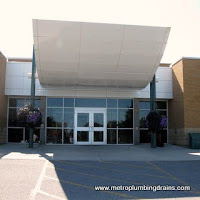 Metro Plumbing and Drains is to ensure 100% quality and customer satisfactionnot only in Richmond Hill Ontario, but all over the Greater Toronto Area. Our team of professional plumbers and staff work really hard to achieve this goal. We also constantly implement new approaches such as using new technologies like the video camera drain inspection tool to ensure our customers convenience in every way. 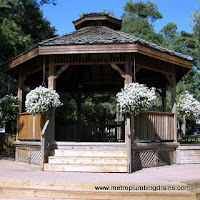 Even for the most difficult repair projects our talented plumbers outshine our competitors. Quite often we notice situations where homeowners do not want to repair a problem associated with plumbing and draining systems, because of all the mess and the headaches that are usually involves. 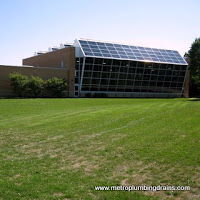 However, with the new technologies and methods used by our qualified plumbers most of the projects that seemed difficult such as: clogged floor drains, backed up toilets and clogged sewers can now be repaired with a simple camera inspection, snaking and cleaning in a fast and neat manner. 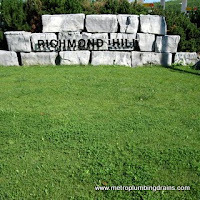 We ensure trustworthy and comfortable environment for our customers all over Richmond Hill and the GTA. 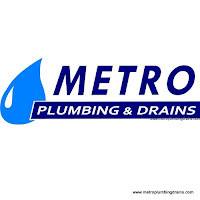 Every employee at Metro Plumbing and Drains is fully qualified, licensed and equipped with proper tools and technologies to provide the best results. 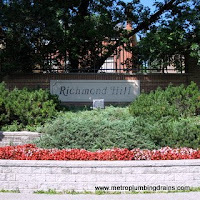 We provide plumbing, draining and 24/7 emergency services all over Richmond Hill Ontario as well as the Greater Toronto Area.